As each class prepares their NOTS movies for debut on March 28, the junior class of 2016 believes they have what it takes to receive the overall “Best Movie” award. By recreating scenes people already know and love the class hopes to get students excited over their production. Gillian Rea, ’16, is the co-director of the junior NOTS movie. She believes that the Jimmy Fallon show was a good choice, because it didn’t require a large number of students to be on screen at once. Rea hopes this often watched TV-series will increase the productions popularity. One of the head actors of the junior NOTS film is Tyler Breedlove, ’16. Tyler has played a major role in the production of the film since it first started. He has made the effort to attend every meeting and help in any way he can. Breedlove believes his acting and natural sense of humor help the storyline flow naturally. Whether or not the junior class wins the award for best picture, students involved thoroughly enjoyed their experience, and look forward to making another movie next year. Teacher Robert Foshee set up a blood drive for March 23 to support alumna Emily Krieghoff as she recovers from a car accident. The blood drive last Friday was a success, over 30 pints of blood were given, March 23. Parents, students and campus alumni all came out to support the blood drive that was held for Emily Krieghoff after she was released from the hospital. For more photos, visit Sugar babies and Gold Crown. Student leadership is taking a more active role in promoting student involvement throughout this school year. 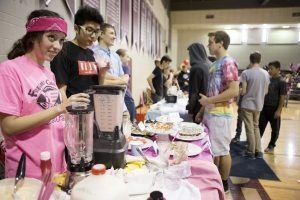 Please return to read about how FC students are actively learning, serving and promoting teen events on and off campus in this weekly article series. After alumna Emily Krieghoff, ’09, was injured in an auto accident, student leadership is organizing a blood drive, March 20. Night of the Stars (NOTS) is in two weeks, March 28, tickets are still on sale and will be sold up to the day of the event. Get your NOTS tickets soon to get a good table seat while you can! Moving onto the next event put on by student leadership: Sadies. The event will be held on April 25 and the location is yet to be announced. The annual event is only three weeks after NOTS, so it is recommended that girls begin asking their dates out soon. Student leadership has began talking about Sadies in class and is working on making event decisions. Although making big decisions for the event can be a stressful task, the students continue to keep the wants and needs of the entire student body in mind. In planning activities, the goal of leadership is to include everyone in the school and consider everyone’s opinion. Even though not everyone will like the class decision, leadership still puts a lot of extra time and effort into the considerations of others. On Friday, March 20, The California Blood Bank will be coming to FC from 1p.m. to 5 p.m. to get blood donations for Emily Krieghoff, ’09, a former FC student who was critically hurt in a car accident. Come out and show your support for the Emily Krieghoff blood drive, March 20. 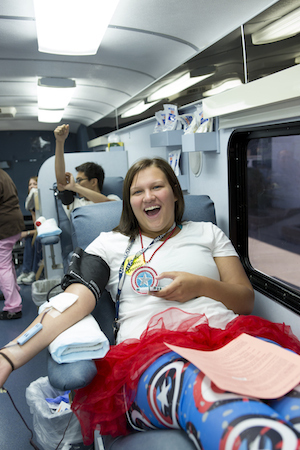 Students who are 16 years of age must have parents’ permission to donate blood. However, students older than 16 years are able to come donate without parental permission. All students, regardless of age, must sign a waiver. At the end of May, student leadership will be having ASB elections. Any student in the student body is able to run for an ASB position. It is not a requirement that students are members of leadership the year before running. Start thinking about running and your own personal goals for the school. Look at future leadership articles to see what the ASB positions will do and require. For more news, read the March 17 article, FC hits NY: Day 2. 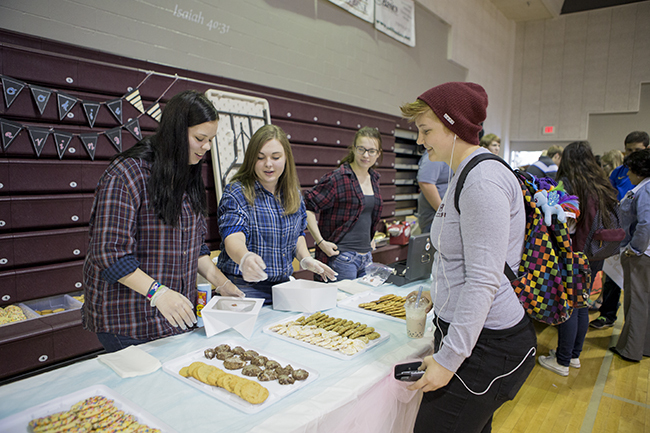 During lunch, students sold and bought cookies at the Econ Fair, March 18. Students who are in the Economy class, came up with creative ideas to sell at the Econ Fair. At lunch, junior high and high school students went to the gym and looked through the Econ students’ booths. If something caught their eye, they were able to purchase the item. The money went go to the group who made the product. For more photos, visit Hotel Edison and Unified Team. Feather editors are currently in New York City for the Columbia Scholastic Press Association Conference. Keep checking back for articles, Tweets, and Instagram posts. Recently, one of our Alumni was in an horrific car accident. Emily Krieghoffwas rushed to Community Hospital where if it wasn’t for the grace of God, the surgeons hands, and pints of blood she would not have survived. We are so grateful to the Lord that she is recovering and getting stronger each day. At Fresno Christian we would like to support Emily as well as give back to the Central California Blood Center for their help in saving Emily. On March 20th from 1 p.m. to 5 p.m., there will be a blood drive on Fresno Christian?s campus in honor of Emily. While there, people can sign prayers and well wishes to Emily and take an opportunity to save lives with your donations. You can drop in during the above times or email [email protected] to make an appointment. Monday — JH boys baseball in 1st round of playoffs @ Ahwahnee MS 2:45 p.m.
HS softball @ Mendota HS 3:45 p.m.
Tuesday — HS baseball @ Mendota HS 3:45 p.m.
HS boys tennis vs Riverdale 4 p.m. on FC courts. Thursday — HS softball vs Orange Cove HS 3:30 p.m. on North Field. HS boys tennis @ Firebaugh HS 4 p.m.
Friday — HS golf in CVC tournament @ River Island GC 10 a.m.
Saturday — HS baseball @ Coast Union HS (Double Header) 11 a.m. & 1 p.m.
HS boys tennis @ Coast Union HS 11 a.m.
HS track in Rafer Johnson Invitational meet @ Kingsburg HS 10 a.m.
Show your school spirit during dress up days. This group got it together for St. Patricks Day, March 17. It’s St. Patrick’s Day, March 17. Most FC students came to school wearing green today simply because it’s St. Patricks Day; however others wore green so that they would not be pinched. The Feather enjoys seeing school wide participation and spirt we hope you do too. For more photos, visit Trials of faith and 2015 Auction. The worship team continues to develop leaders, including Melissa Tostado at the piano. Melissa Tostado uses her piano skills during chapel, March 17. 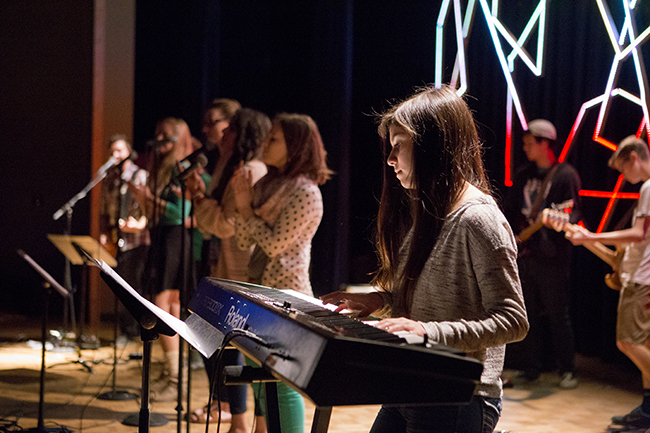 Chapel is a time cut out of student’s busy schedules to worship. The worship team provides new age music for everyone to sing and dance to during worship time. For more photos, visit Dodgeball Tourney and St. Patricks Day. 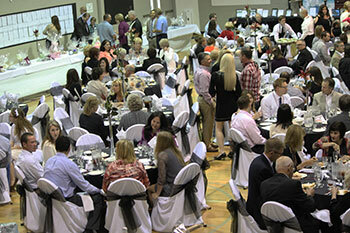 The 32nd annual FC Auction raised over $140,000 for Fresno Christian, March 14. The 32nd Annual FCS auction is a highly anticipated event in which the generosity and close knit community is exemplified. Each year, families and FC enthusiasts look forward to the opportunity for a fun way to give back to the school which has touched their lives. At the auction March 14, attendees were given a unique auction number and were able to bid upon different items including desserts, gift cards and donated items. Once dinner was served participants enjoyed a quick trailer of the upcoming April musical, Music Man. Every table at the auction sold out within weeks. The auction brought in a record breaking $140,000+. The money is used in multiple ways but is focused on filling the funding gap between tuition and the amount needed to operate the school. Dr. Sam Hinton, father to Max Hinton, shares his impressions of this years auction and remembers attending his first auction for FC. Former history teacher Ellen King comments on the decorations and reminisces on the numerous years she spent teaching. Marvel French, grandmother to Maddie and Maicy Luginbill, comments on her favorite FC memories and shares her expectations for the 32nd annual auction. Nancy Weis, long time auction attendee, shares her first impressions of the auction. Senior FC student, Collin Winegarden, came out to the auction to perform with his drama class. The class sang and danced to a portion of the Music Man, which will be debuting in April. 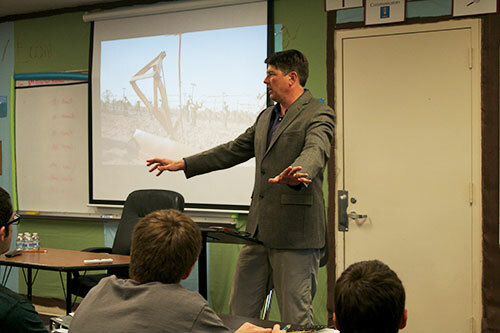 For more features, read the March 16 article, Career Day: Professionals educate students, share experiences. Sister to Sister Off Campus Lunch is tomorrow, March 17. Feather editors are currently in New York City for the 91st Columbia Scholastic Press Association Convention. Keep checking back for articles, Tweets, and Instagram posts. Recently, one of our Alumni was in an horrific car accident. Emily Krieghoff was rushed to Community Hospital where if it wasn?t for the grace of God, the surgeons hands, and pints of blood she would not have survived. We are so grateful to the Lord that she is recovering and getting stronger each day. At Fresno Christian we would like to support Emily as well as give back to the Central California Blood Center for their help in saving Emily. 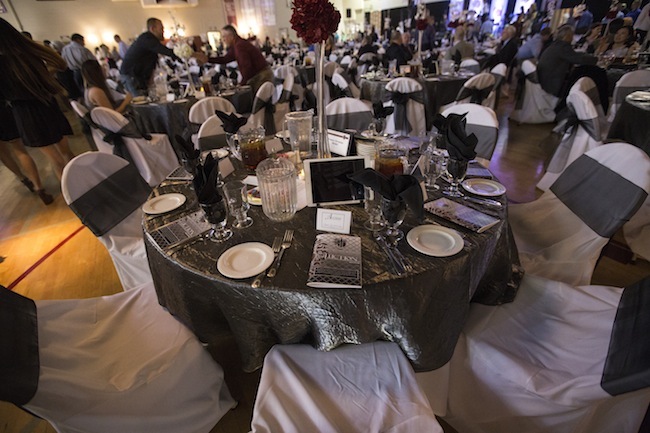 This year Night of the Stars (NOTS) will be held at Wolf Lakes on March 28 from 5-11 p.m. Tickets are $60. Tickets may be purchased in the HS office or during lunch in the quad. Pictures will begin at 5:30 p.m., order forms are available in the HS office. 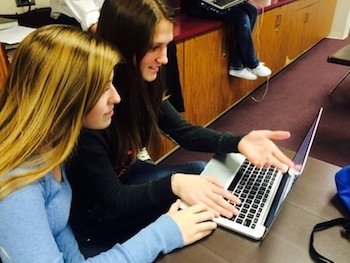 The Feather Online continues to tweet each school day up-to-date news and happenings. All students, parents and community supporters need to do is sign up for an account and follow @thefeather on Twitter on Instagram and on Facebook. A new website launch happened during the 32nd annual FC Auction, March 14. Please take the time to visit www.fresnochristian.com today. The 32nd annual FCS auction was held at 5:30 p.m., in the FC gym on March 14. This year the auction was sold out. There was hundreds of great items sold from trips, event tickets, class baskets and deserts. This year there was also something new: the launch of the redesigned Fresno Christian website. 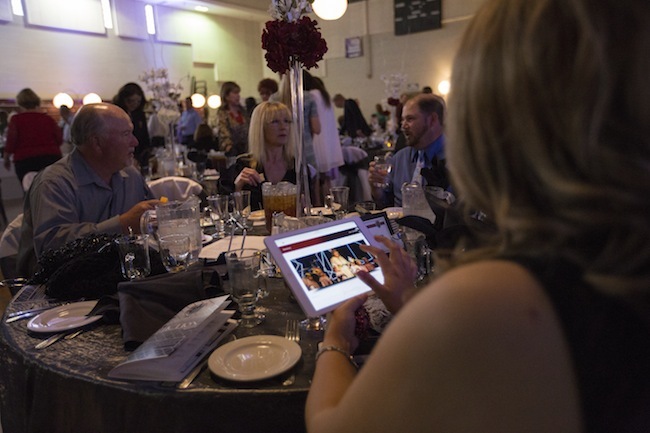 Each of the 47 tables had ipads on them to showcase the beautiful website. Please check it out and share your positive thoughts http://www.fresnochristian.com. A special thanks goes out to Director of Technology, Robert Hyatt, History and Photojournalist teacher, Kori Friesen and web Designer Justin Pierce of PC Pierce for putting the website together. For more photos, visit Coming soon and Pamela Powell Memorial Garden. 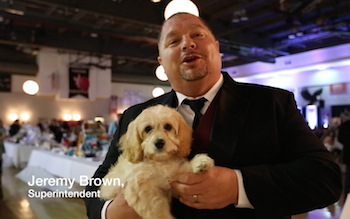 According to administration, the 32nd annual Fresno Christian Auction has raised over $135,00. More details to follow in the coming week. The 2015 FCS auction was a success, March 14. 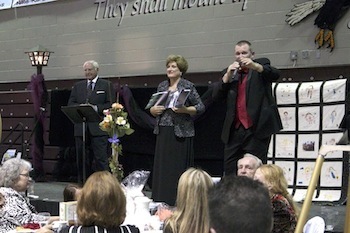 The auction was a evening full of activities, overall the school raised approximately $135,000 from all of the bidders. During the auction, there was also the release of the new Fresno Christian website. For more photos, visit Trials of faith and New website launch. Older Sister training is March 16. Sister to Sister Off Campus Lunch is tomorrow, March 17. Recently, one of our Alumni was in an horrific car accident. Emily Krieghoff was rushed to Community Hospital where if it wasn’t for the grace of God, the surgeons hands, and pints of blood she would not have survived. We are so grateful to the Lord that she is recovering and getting stronger each day. At Fresno Christian we would like to support Emily as well as give back to the Central California Blood Center for their help in saving Emily. Follow <i>The Feather</i> via Twitter <a href=”https://twitter.com/thefeather” target=”_blank”>@thefeather</a>, Instagram <a href=”https://instagram.com/thefeatheronline” target=”_blank”>@thefeatheronline</a> and Facebook <a href=”https://www.facebook.com/thefeatheronline” target=”_blank”>@thefeatheronline</a>. Nine Feather editors are traveling to NY to attend and speak at the 91st annual Columbia Scholastic Press Association’s convention. 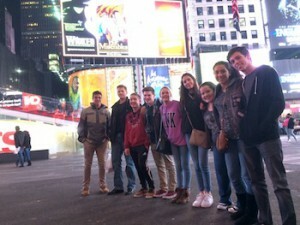 The staff arrives in Times Square ready for a night tour, March 16. After arriving to San Francisco the night before, a total of nine journalists boarded the plane on Monday, heading to New York, March 16. Editors Rees Rogenstein, Josh Carter, Chloe Mueller, Gaby Siquiros, Ryan King, Callista Fries, Trevor Beal, John Dooman, Sara Peterson and chaperones Angie Fries and adviser Greg Stobbe arrive at the airport around 8 a.m. and will tour that evening as FC hits NY. The Feather staff will be heading to Columbia University, for the 91st annual CSPA Spring Convention, March, 18-20. Along with being nominated for the Gold Crown by the Columbia Scholastic Press Association (CSPA), Fries, King, Peterson and Mueller will be presenting workshops during the convention. Throughout their stay, the editors will also spend two days touring Manhattan. While at the CSPA Spring Convention, editors will be attending classes and workshops relating to journalism and school run newspapers. At the end of the Spring Convention, The Feather staff will attend the 2015 Online Digital Crown Awards ceremony, in which they will receive either a Silver or Gold crown. After arriving in New York around, 7:30 p.m., the staff departed from the JFK airport and headed towards their home for the next week, the Hotel Edison. Upon arrival students dropped off their luggage and headed to Juniors for a late dinner and then traveled to the subway to buy their metro passes for the week. Students then took a quick tour of Times Square and headed back to their hotel, to work on articles, and to get some much needed rest. EDITORS NOTE: Stay tuned for daily updates including slideshows and videos as FC hits NY. This writer can be reached via Twitter: @rynnking_. For more news, read the March 13 article, Blood Drive honors FC alumna currently in recovery. The FCS community is again gathering support in a blood drive for Emily Krieghoff, March 20. Please donate for an Eagle alumna. In the late hours of Saturday Feb. 21, FC alumni Molly Griffin and best friend Emily Krieghoff were victims of a fatal DUI accident. Molly Griffin was killed on site while Krieghoff is currently in recovery at Fresno Community Hospital. Due to the essential role that blood donations have played in Krieghoff’s recovery and because of the tragic nature of the incident, the FC community will be partnering with Central California Blood Center in the first Emily Krieghoff Blood Drive, March 20. The idea for the event was first purposed by Leadership and Economics teacher, Robert Foshee after Krieghoff’s mother suggested a blood drive. Foshee says that the event will provide an opportunity for both FC alumni and current students and staff members to come together as a community and support the Krieghoff family during a time in which they need it most. The Central Blood Center mobile will be stationed in the high school parking lot from 1-5 p.m., equipped with trained and experienced personnel. All potential donors are required to be in relatively stable health upon arrival at the mobile and must weigh at least 110lbs and be 16 years of age or older. All student participants regardless of age, are required to obtain and present a signed permission slip upon arrival at the mobile. Permission slips are available for free download at Central Blood Center’s website. Students must also schedule an appointment for their donation prior to March 20 via email with either Foshee or school secretary, Vicky Belmont. Central Blood Center holds all rights to deny donors participation if they fail to meet the before mentioned requirements or present any number of complicating factors such as abnormally high blood pressure or body temperature. 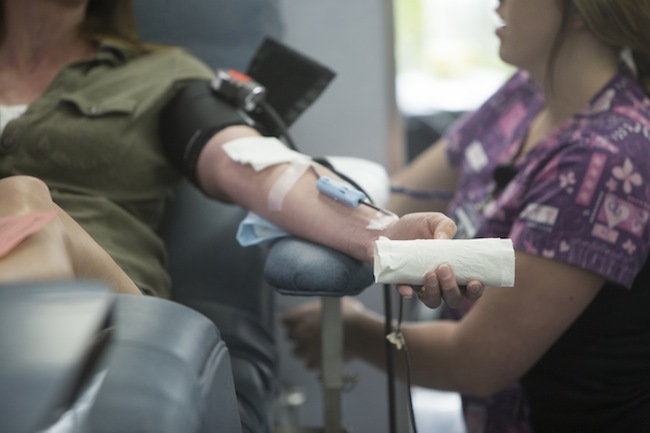 According to Central Blood Center, the process of blood donation works in a simple four step process. Firstly upon arrival participants must register with the use of a photo ID and social security number. These two items are required to register and those who do not posses proper identification will not be admitted into the Mobil. Secondly, Central Blood Center personnel will conduct a brief physical check up, measuring blood pressure and heart rate in order to assess the individual’s personal health. All health information that donors share with the personnel will be kept confidential. The withdrawal of one pint of blood usually takes no more than 15 minutes and is a painless process. After completion participants will receive a T-shirt, a sweet treat and be encouraged to rest for a short amount of time before resuming daily activities. Leadership member Breanna Jennings, ’15, previously donated at FC’s annual Max Hinton Blood Drive. She says that the opportunity provides a hands on and practical way to give back to the community and reach out to those who need love the most. Macy Mascarenas, ’16, knew both girls on a more personal level through her older sister. Mascarenas believes that the blood drive is a way to honor the memory of Molly Griffin and the generous sacrifice that saved Krieghoff’s life. Update: Emily Krieghoff is scheduled to be released from Fresno Community Hospital, March 18. To obtain permission slips or learn more information about donor qualifications, visit www. Centralvalleybloodcenter.com. To follow Emily Krieghoff’s progress, visit caringbridge.org. Please read a guest post by Macy Mascarenas as she reflects on the life of Molly Griffin. 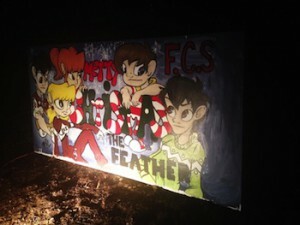 For another article news article read Campus families gather to support 32nd FC Auction. As our community gets ready for the 32nd Annual FCS Auction, I find myself in awe of how Fresno Christian Schools come together. For weeks, donations have been coming into our office. Homemade crafts from students, signed sports memorabilia and even a puppy! It reminds me of Mark 12 about the widow’s offering. Our school is full of people that give of themselves with their time, talents and treasures. All of the giving from our auction helps Fresno Christian Schools continue the legacy of providing an excellent Christian Education for over 38 years. I am looking forward to meeting those who attend the 32nd FCS Auction and forge lasting relationships throughout the month of March. The FCS annual Auction is a great opportunity for new members of our community, like me, get a chance to meet and have fellowship with people that have supported FCS Auction legacy for decades. 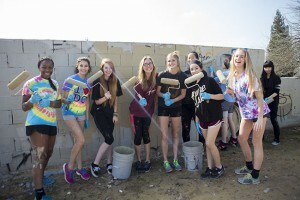 For more letters, read the March 10 article, LETTER: Spirit of Serve Day. Campus juniors and seniors traveled for a college trip to SoCal to visit universities, March 3-4. Juniors and seniors took their annual College Trip, March 3-4. Ten students attended along with Academic advisor Michelle Warkentin, Andrea and Scott Donaghe. The group visited four different universities in southern California along with a famous ice cream parlor for dinner. The first college the group visited was the University of Southern California. The school first opened in 1880 to 53 students. The students were amazed by the architecture and the size of the campus. While at USC, Morgan Miller, ’16, fell in love with the atmosphere. Andrew Moore, ’16, although a faithful USC fan, knows the price makes attending the school difficult. The second college the group attended was Azusa Pacific University. The group was able to meet up with alumnus Elora Hargis, ’14, before touring the campus. APU was the first Christian campus the group visited. The Christian atmosphere of Azusa Pacific, along with their gym, seemed important to Caleb Goodale, ’16. Junior Bailey Brogan did not like the way the campus was set up. He also did not care for the atmosphere the campus offered. 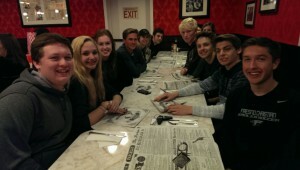 That night, the group went to Farrell’s Ice Cream Parlour Restaurant for dinner. Majority of the group agreed that dinner was the best part of the trip. Many of the students had participated in Kids Day earlier that morning and were running on their last bit of energy, which made the night that much more enjoyable. After waiting an hour, the group was seated and the waitress, DeAnna, set the tone for the evening with her animated and sassy personality. The group decided to celebrate Brogan’s belated birthday, which included him going to “boot camp” once he finished his meal. Timothy Nyberg, ’16, found the night very enjoyable and a dinner he would not soon forget. The next morning, although tired, the group woke up bright and early to visit the next two universities. First on the list was the University of California Riverside. 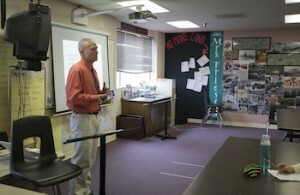 Senior Justin Porter enjoyed the tour and learning about the school’s different research projects. While disappointed with one of the schools programs, Elise Winegarden, ’15, thought the campus was nice. The final school the group visited was California Baptist University. There, they met up with alumnus Annalise Rosik who spoke about what she has enjoyed so far. The first part of the campus that the group explored was the cafeteria, or the “caf”. CBU has the third best cafeteria in California and the students enjoyed its all-you-can-eat policy. Collin Winegarden, ’15, saw the “caf” as one of the schools best features. Although he enjoyed the cafeteria, Joshua Carter, ’16, feels like the university still needs to build a stronger reputation. Academic advisor, Michelle Warkentin, has been in charge of the annual college trip since it first began. She sees it as beneficial for the students who take it and enjoys seeing the students experience college life. Overall, everyone who took the trip enjoyed it and felt it was worth its while. They will be taking the trip again next year for any juniors or seniors that are interested. This writer can be reached via Twitter: @_olivialoren_. For more features, read the March 11 article, Heritage honors Music Department with Sweepstakes Award (PODCAST, SLIDESHOW). Join the FCS community for the 32nd annual auction, March 14. Students are encouraged to bring auction items by, March 13. Crunch time is here, so bring your auction items by, March 13. The auction doors will open at 5:30 p.m., March 14. This is the 32nd annual auction. Popular items include new merchandise, gift certificates, hand crafted boutique items, all types of professional services, entertainment packages, vacation packages, recreational equipment and outing, collectibles, jewelry, electronic equipment, landscaping or gardening supplies, fancy desserts, and of course cash to help the cost of the event. 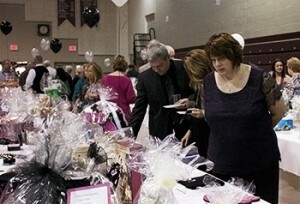 For more info, visit Campus families gather to support 32nd FC Auction. For more photos, visit Softball away game and Civil rights photojournalist. Follow The Feather via Twitter @thefeather, Instagram @thefeatheronline and Facebook @thefeatheronline. 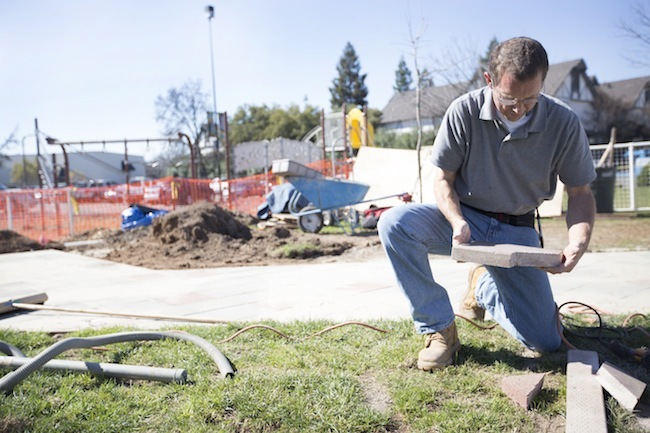 Jon Raynes volunteers to landscape and build FC’s newest addition: the Pamela Powell Memorial Garden. Jon Raynes has volunteered his time to landscape and build FC’s newest addition on campus: the Pamela Powell Memorial Garden. As of yet, there is not a scheduled date of completion. Please return to The Feather for more updates. For more photos, visit Softball away game and Crunch time. The 32nd annual FCS Auction is upon us. Student leaders will help serve, the choral and drama programs will be a part of the program and countless others will help in support roles throughout the evening. The event is sold out and administration is confident the school community will gather for Superintendent Jeremy Brown’s first auction, hoping to raise over $100,000. The 32nd annual FCS Auction is meant to bring the Eagle school community together in hopes of raising over $100,000, March 14. The night of the auction will be full of exciting bidding and silent auction prizes. While the leadership students walk around the will be selling raffle tickets for the big auction prize. Career Fair is on March 11, after lunch, the bell schedule will be on half day. All seniors are not allowed to go off campus for lunch due to the event. After lunch all students are required to gather in the FC gym to be introduced to the career fair guests. This event will continue on until the end of the school day. Night of the Stars (NOTS) will be held at Wolf Lakes at 5:30 p.m. until 10:30 p.m. Students can purchase NOTS tickets in the office with Vickey Belmont or at the ticket table at lunch. The first deadline for tickets will be this Friday, March 13. The seating arrangement has been changed to seniors closest to the stage, the other table seatings will be first come first served. Although, if seniors do not have tickets purchased by the first deadline, they will be put in to first come first serve seating. Table seats will no longer will reserved for any student past the first deadline. If tickets for reserved seats are not purchased the seat will be filled by a purchased ticket. Ticket prices are at regular price which is $60, past the first deadline, the ticket prices will stay the same. All students are encouraged to attend the event, whether it is with a date or a group of friends. The purpose of the event is to get the whole student body involved and to go out and have a fun time. For more news, read the March 10 article, Campus families gather to support school. The 32nd annual FCS Auction as expected is sold out and a place where the school community gathers to raise funds and celebrate Christian education. Every year, the FC family gathers at the annual auction to raise money for school expenses and events. On March 14, the campus will celebrate it’s 32nd school auction in the FC gymnasium. In preparing for the auction, students and teachers can bring anything from concert tickets to gift certificates; desserts of all kinds will also be auctioned off. A competition for K-12 is already in motion, classes that bring in the most items will win donuts or a long lunch period. Dean of Students Amy Deffenbacher will be attending the auction with her family in hopes of a great time and in support of the school. The event will be catered by Pardini’s and the dinner will consist of braised roast beef, scalloped potatoes and a mesclun walnut salad. Tickets cost $60, however, tables are sold out due to quick sales. The silent auction begins at 5:30 p.m., dinner is at 6:30 p.m., and the live auction begins at 7:30 p.m. Superintendent Jeremy Brown, will be attending the auction, and emphasizes the importance of the event for our school and community. Freshman Maicy Luginbill, will attend the auction this year with her family and friends. News reporter for KMPH, Erik Rosales, will be the emcee and will direct the auction. During the auction, there will be a short Music Man vignette by the drama and music department. The audience will also see a debut of the new FC website. Sophomore Hannah Nale will go on behalf of student leadership. Along with her participation, her grandparents and family will also be attending. As each year comes the school hopes to achieve an even bigger number. Last year the auction raised a total of $110,107 from sales and cash gifts. For more information on last year’s auction, visit the Auction 2015 page on the school’s website for a complete list of items brought. This writer can be reached via Twitter: @jennypenny8835. For more news, read the March 9 article, BRIEF: Career Fair scheduled, March 11. Every three to four weeks, the FC athletic department will publish an FC Sports Center article to keep the Eagle community aware of upcoming sports events. In the hopes of better communication, the athletic department will offer a FC Sports Center news brief every three to four weeks that will be published on Thursdays. We hope to publish dates, times and locations of upcoming contests as well as highlight crucial events that our parents, supporters and students might wish to attend. The spring sports have started. Come out and cheer on the spring sports teams as they begin their seasons. 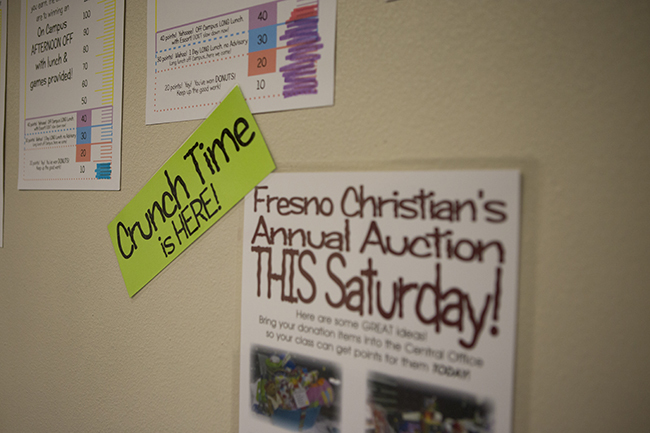 The Fresno Christian 32nd auction is March 14 at 5:30 p.m., in the FC gym. The Fresno Christian golf tournament will be April 27 at Copper River Golf Course. Contact Jon Penberthy for more information. Be sure to read the This Week In Sports email that goes out weekly from the athletic office. You can find the high school baseball schedule here. You can find the high school softball schedule here. You can find the high school golf schedule here. You can find the high school boys tennis schedule here. You can find the high school track and field schedule here. As a reminder, all high school students must have their sports physicals completed before they will be allowed to practice. Athletes must also complete an athletic packet. Athletes will receive their uniforms at practice from their coach within the first few weeks of practice. 3/7 HS baseball vs Stoneridge HS 10 a.m. & 1 p.m.
3/11 HS softball at Sierra HS 3:30 p.m.
3/13 HS softball at Kings Christian HS 3:30 p.m.
3/16 HS softball at Mendota HS 3:45 p.m.
3/17 HS baseball at Mendota HS 3:45 p.m.
3/17 HS golf vs SJMHS at Riverside Golf Course at 3 p.m.
3/19 HS boys tennis at Firebaugh HS at 4 p.m.
3/20 HS golf at River Island at CVC Tournament 10 a.m.
3/21 HS baseball at Coast Union HS 11 a.m.
3/21 HS boys tennis at Coast Union HS 11 a.m.
3/21 HS track at Kingsburg HS 10 a.m.
3/24 HS golf at Riverside vs Kingsburg HS at 3 p.m.
3/24 HS baseball at Firebaugh HS at 3:30 p.m.
3/25 HS Track at Fowler HS vs WSL Schools at 4 p.m.
3/26 HS baseball at Parlier HS at 4 p.m.
Editor’s Note: Check back later for more updates or via Twitter: @thefeather. The Feather staff joined the leadership class to sell Fresno Bee Kids Day papers to benefit Children’s Hospital, March 3. Each year, the community, Fresno Bee and ABC 30 all join forces to earn money for the patients of Valley Children’s Hospital. 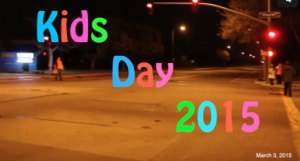 For the 28th time, Kids Day has encouraged hundreds of individuals to take time selling special edition Fresno Bee newspapers across the San Joaquin Valley to earn the money to help the cause, March 3. Community members and campus students including notable figures and organizations from Mayor Ashley Swearengin, Police Chief Jerry Dyer, and Fresno State football coach Tim DeRuyter to student leadership and publications from FC. This year, according to the Fresno Bee: an estimated amount of $340,500 and counting, has been provided at the time of 5 p.m., March 3. Children’s Hospital spokeswoman Zara Arboleda has stated this year’s goal of $530,000 is reachable. Since last year, Children’s Hospital has received over $6.3 million in donations. This year they hope to past $7 million in an even greater effort to support the patients of the Madera County hospital. 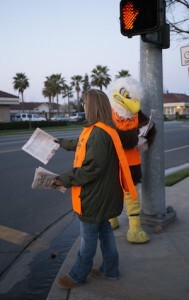 Student leadership, began selling newspaper at a dim and chilly 4 a.m., along with The Feather staff who came just about 45 minutes later to corners at Alluvial and Cedar as well as Cedar and Alluvial. For several years now both campus clubs have participated in Kids Day to help Valley Children’s Hospital. With a total amount of 980 newspapers sold, campus representatives were able to contribute $1,954.13 to the cause. Students were able to sell all the way till 9 a.m., where they then headed to their classes for the day. For more on Kids Day 2015, read the Fresno Bee articles, A look back at Kids Day 2015: from celebrity corner to students in Oakhurst and Fresno’s Mendez family stays strong despite child’s medical battles. For more videos, check out #SJW2015: Importance of Scholastic Journalism (Video). Student leadership is joining forces with The Feather Online staff to sell Kids Day papers, March 3, and the 32nd annual FCS auction, March 14. Student leadership is gearing up for three events in the next month: Kids Day, the 32nd annual FCS auction and NOTS. Kids Day, March 3, all leadership students were required to be at Maple and Alluvial by 4 a.m. 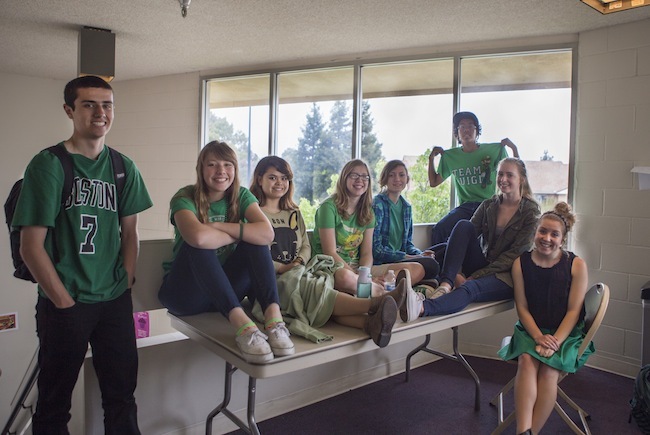 The ASB members must be there at 4:30 a.m., and journalism students must be at Cedar and Alluvial by 5 a.m.
Night of the Stars (NOTS) is on March 28 and early bird ticket prices are being extended from March 2 to March 6. After early bird prices of $55 is unavailable tickets will be raised to $60. In order to attend NOTS, a ticket must be purchased. If students desire to go with a date, start asking and buying tickets. As far as seating goes, seniors will be granted a first row seat. All other students will be given spots based on a first-come-first-serve system. It is recommended that pupils hurry and get seating arranged if they want to claim a desirable spot. The next special day event will be March 4, Western Day, in which all students are encouraged to dress in anything western themed. As a reward for dressing up, students will be given root beer floats at lunch. The next event will be March 17, in honor of St. Patrick’s Day. The activity will be a scavenger hunt. The prize students will look for are pots of gold, and once found, they can be brought to the office in exchange for a gift card. The school’s 32nd annual FCS Auction is coming up on March 14. There will be a competition between all grades to see who brings the most auction items. The rewards granted per item will be listed in the hallway downstairs in Building 5. Leadership students will be selling raffle tickets at the auction, so look around for any students to buy raffle tickets. At the auction there will be a silent and a live event. Basketball intramurals took place last week, Feb. 26 and 27. Each team went into the FC gym and played against each team in a type of tournament form or playing. At the end of the event, the winning team contained, Tyler Breedlove, ’16, Justin Houts, ’16, Chris Kollenkark, ’16, and Bailey Brogan, ’16. For more news, read the March 2 article, BRIEF: Leadership, journalism students to attend Kids Day, March 3. The Feather Online is participating in Scholastic Journalism Week, Feb. 22-28. The staff will also participate, follow the Hashtag #SJW2015. With National Scholastic Journalism Week, sponsored by the Journalism Education Association (JEA), mass media has been seen on Twitter and Instagram with the hashtag #SJW2015. Throughout the week, students posted on social media in an effect to promote Journalism Education, Feb. 22-28. The organization encourages student journalists to raise awareness, promoting its significance to the community. The event was geared towards those apart of a educational journalism program, community members, including readers and students, to spread awareness. Throughout the week, The Feather watched both medias, by creating the hashtag: #FCJW as well as the original #SJW2015. Approximately 100 posts were involved with the hashtag throughout Instagram as well as Twitter. 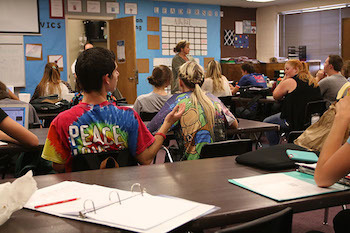 For more on National Scholastic Journalism Week, read the Feb. 23 articles, BRIEF: Scholastic Journalism Week, Feb. 22-28 (VIDEO), and Scholastic Journalism Week 2015: Join the discussion. Families are encouraged to share this brief, Twitter and Instagram feeds as campus teachers serve at McDonalds, Feb. 26. Monies raised will go to FCS. FC is always searching for ways to get it’s campus involved in the community. For example, students recently stepped outside of their usual school district to the outside parts of Fresno for FC Serve Day, Feb. 26. Campus teachers also take their turn to get involved with McTeacher’s night. 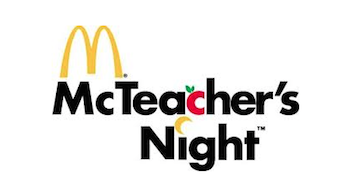 Campus teachers and faculty will be serving up Happy Meals and taking orders at McDonald’s on Cedar and Herndon, 5 p.m. to 8 p.m. During those hours, 20% of all money earned will go towards FC – even without a flyer. In previous years, this event has raised over $800 for the campus. Of course, the staff hopes to outdo this record, but this will require as much student help as possible! Faculty urges and encourages all students, friends, family, etc. to show up and spend a little. 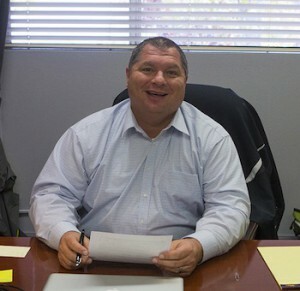 Donn Rojeski is looking forward to his first time participating in a fundraiser for a cause he respects. Families are encouraged to share this brief, Twitter and Instagram feeds as campus teachers serve at McDonalds, Feb. 26. Follow the Feather via Twitter and Instagram: @thefeather and @thefeatheronline. This writer can be reached via Twitter: @_chloemueller. 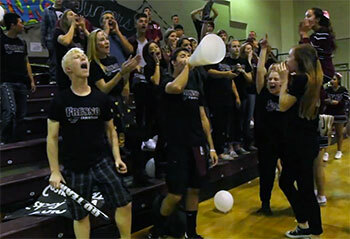 For more news, read the Feb. 24 article, BREAKING: Feather receives NSPA All-American rating. Early-bird NOTS prices, which are available from Feb. 17-27, will cost $55 and all tickets purchased afterwards are $60. Junior Claire Kollenkark just said yes to senior Rick Morrison. Scholastic Journalism Week is this week, Feb. 22- 28. The student body, along with the school staff, is encouraged to promote the importance of journalism. 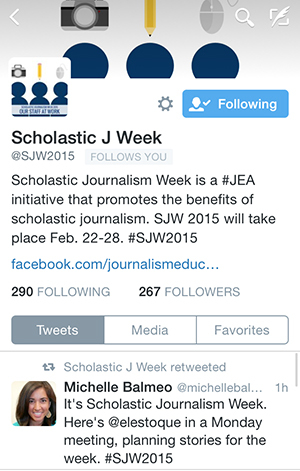 Hashtag any photos or tweets with #SJW2015 and #FCJW. Basketball Intramural’s will be Thurs. Feb. 26, at lunch. 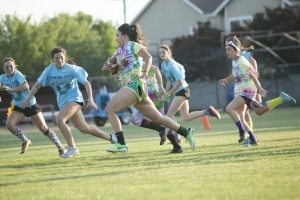 Each team is required to have at least one girl and is only allowed one varsity player, although a team may have all girls and a girls varsity player. The playoff will be played on Feb. 27. The playoff games will be played at lunch in the FC gym. Sign ups will be in the office on Vickey Belmont’s desk. For more information contact Jarrod Markarian, ’17, and Trevor Trevino, ’17. Within a month, Night of the Stars (NOTS) will take place at Wolf Lakes. In order for the school to be able to host the formal, students must buy tickets by the due date in mid-March. Student leadership is encourages campus to purchase NOTS tickets. Early-bird prices, which are available from Feb. 17-27 will cost $55 and all tickets purchased afterwards are $60. Kids Day is coming up on March 3. FC students are teaming up to sell papers on the corners of Cedar and Maple along Alluvial for a dollar. All the proceeds received will go toward Children’s Hospital. Leadership ASB members have to be out selling papers by 4 a.m. All other leadership students have to be there at 4:30 a.m., and all journalism students must be at their corner by 5 a.m. The next dress up day at school is Western day, in which any student wearing western apparel will be rewarded a free root beer float at lunch. There will also be line dancing for students to participate in. For more news, read the Feb. 20 article, Student Leadership: Serves the Community Food Bank. When someone decides not go to NOTS, other students need to consider respecting unique characteristics of student choice. I want to start off by acknowledging the awesomeness of Grossman’s article! It was well written and engaging! Keep up the wonderful work. Night of the Stars is entertaining; I’ve gone twice. As you’ve made known in your piece, students should consider attending the formal. Our opinions may differ a bit, though, because I believe going only once may be totally sufficient. Some people, myself included, are not super interested in social school events. It’s not a defect; it’s not a horribly debilitating illness. It’s a personality thing. In loud and crowded social situations, I often feel a listless pensiveness. In the eye of the tornado, my head becomes foggy in a strangely clear way. Perhaps most people don’t undergo this reaction, but it’s probably safe to say that not everyone absolutely loves large social gatherings. So, why is there a push to be different? Trying new things is important, of course, but it’s maybe equally valuable to know oneself. N.O.T.S. is wonderful, but significance is exaggerated. A Fresno Christian student’s life doesn’t hinge on going to N.O.T.S. or not. High school seems to prefer a particular student: gregarious, involved, and extroverted. But, not everyone fits into this category. I used to feel lost-as if I had to be someone else. Everyone is unique, and no one truly fits inside a box. I don’t disagree that going to N.O.T.S. should be encouraged. But, too much ‘should-ing’ has the potential to stir anxiety and self-doubt. Just make sure we are respecting unique characteristics of the attendees. Great article! It was fun to read! For more Letters, read the Feb. 23 article, LETTER: Be God’s hands and feet. Applebee’s school sports wall, with Fresno Christian teams from over the years. Students, teachers, families and community supporters alike dined at the Applebee’s on the corner of Cedar and Herndon, Jan. 15, 2015, to support FC. Applebee’s donated 15% of their revenue that evening when diners showed their waiter the fundraiser flier. Dean of Students Amy Deffenbacher explained how the event benefited both the school and the restaurant. The restaurant boasted decorations such as balloons in school colors and a raffle table in the back with stuffed eagles and decorations. The raffle offered a chance to win spirit wear for those who entered the drawing. Fierce the Eagle, cherished FC mascot, even made an appearance to greet families. Jenny King, ’17, did not attend the fundraiser, but expressed her admiration for the event. 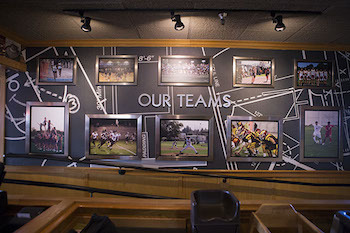 The support from the Applebee’s location goes beyond just this year; they have actively supported the school in past years and hang FC memorabilia photos along the walls. The Feather would like to formally thank Applebee’s for the opportunity to raise money for the school. Check back later for how much money the fundraiser raised. FCS Applebee’s Fundraiser 2015 from The Feather Online on Vimeo. For more features, read Jan. 22 article, Publications enrich audience through social media. Directors of events consist of Chris Grossman, student body president, Ashley Garcia, student body vice president, Timothy Nyberg, student body secretary, Joshua Carter, student body treasurer and Sydney Belmont, student body public relations. With Night of The Stars (NOTS) coming up, leadership has groups set up for planning and decorating. The groups are setup/decorations, parent viewing, awards/sound, food, tickets/advertising. Each group has a specific job and requirements, if the expectations are not met, the ASB officers will pick up the event. Director of events consist of Chris Grossman, student body president, Ashley Garcia, student body vice president, Timothy Nyberg, student body secretary, Joshua Carter, student body treasurer and Sydney Belmont, student body public relations. The Student Body President’s, Chris Grossman, job is to meet with the specific groups and talk about what their jobs are. Each group will have a very detailed progress report alone with an idea of where they what the event to go. Meetings will go on once a week until the event is over. Ashley Garcia, ’15, will also meet with the groups and leadership advisers, Vickey Belmont and Robert Foshee or Dean of students, Amy Deffenbacher and superintendent, Jeremy Brown for events to be approved. Garcia must gather a list of students involved and schedule whether they will be missing class for their event or not. The secretary will make and keep a calendar of all events and make sure events are planned and followed. The events will be placed on the calendar in the hallway in Building 6. If facilities are needed, ‘greensheets’ will need to be turned in. The student body treasurer has to take count of the money the leadership class has. Each group must tell the treasurer what supplies are needed and how much they will cost. The public relations officer advertises the event to the public. If the the public relations officer is not notified, there will be no advertising. Throughout the year, each event will be handled through the system of ASB. If the group director does not follow through, ASB will pick up where the director left off and pull the event through. For more news, read the Jan. 16 article, SoundCloud gains popularity amongst users. As leadership continues to grow and involve the school in all events planned, the class is taking a change not only in the school but in the classroom. As leadership continues to grow and involve the school in all events planned, the class is taking a change not only in the school but in the classroom. The class is setting apart every monday for a session of Bible. Leadership is learning qualities of a spiritual leader. The class is reading advice from different spiritual leaders in other work fields. With NOTS coming up on March 28, the class has begun to get into individual groups to help set up and cause the planning to run more smoothly. Each section of set up will have its own director, and the director of that particular section will have a committee helping to complete the task. For the third and fourth quarter, each student will have to be in charge of one event and will have to help in many events in order to put the practice of serving into works. Many of the events are activities that the student body can participate in, such as rallies, lunch time activities and inter mural sports; there are many small events coming up in the next few weeks. In order to become a director of an activity the students must make an appointment with the leadership advisors and interview for the role of director. Leadership students must approach the interview as if it is a real job, dressing in business attire and presenting their ideas. As the leadership students prepare for the new change, the change will help students begin the interview part of life. The events will help the class lead others by example, putting their ideas into actions and working for the student body. Students from last year’s leadership class have seen an immense change in the way it is run. Some feel that the change was unnecessary, one of the students is Brooklynn Ainley, ’17, feels that the class was already running smoothly. Student leadership is hoping the change will help the class see things from a leader’s perspective and learn new skills throughout the year. Follow The Feather via Twitter @thefeather, Instagram @thefeatheronline and Facebook @thefeatheronline This writer can be reached via Twitter: @sbbelmont98, Email: [email protected]. 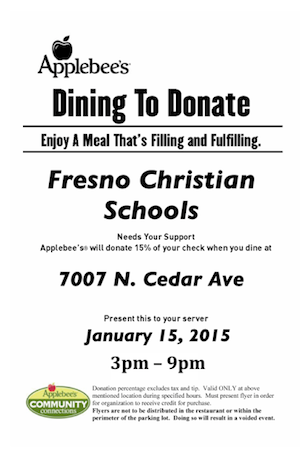 Join and support the FC family by coming to the Dining To Donate fundraiser at Applebee’s on N. Cedar Ave, Jan. 15. Come enjoy a meal that’s filling and fulfilling, support the school from 3 to 9 p.m.
As families dine, Applebee’s will donate 15 percent of the bill, only if the flyer is shown to the server, which can be picked up in the high school office in Building 6. The fundraiser is only valid at the Cedar and Herndon Applebee’s for family and friends and flyers cannot be given out in the restaurant or in the parking lot. If otherwise done, the donation will be voided. Nikole Tucker, Parent Teacher Fellowship (PTF) president, stated that the purpose of the fundraiser is to have fellowship with the school and the rest of the community. The fundraisers purpose is to raise money for the school and get the community involved. The school has another fundraiser event coming up in March, the annual silent auction. The silent auction is to also raise money for the school and to get the community involved. There will be opportunities for a live auction as well as silent. That event will be held in the FC gym. The event consists of certificates, services and desserts. Dinner will be served and the live auction will soon be followed. Come support the FC family at both fundraiser events to help fund the school for future events. IMPORTANT: Print the flyer and bring to Applebee’s on Cedar and Herndon so donations go to FC, found here. For more news, read the Jan. 6 article, BRIEF: National Bubble Day, Jan. 8. While leadership plans new and exciting events, the class will be reconnecting after the holiday break to talk about winter formal. As school rolls back in, student leadership welcomes back all FC students, parents and staff and wishes the whole school a happy new year! Over the year leadership created new events and kept old traditions running. The new events were great experiences to try out and were generally believed to be successful. Starting the new year, the class is up and running with even more new events like National Bubble Day. Bubble day, Thurs., Jan. 8, is a day specifically for bubbles, in honor of the event, student leadership will be handing out bubbles at lunch to distribute and have fun with. National bubble day also shares the day with national Argyle Day, Earth Rotation Day and Joy Germ Day. While leadership plans new and exciting events, the class will be reconnecting after the holiday break. Students will line up the calendar for the next couple weeks. The class will also start to discuss the next big event, Night of the Stars (NOTS). 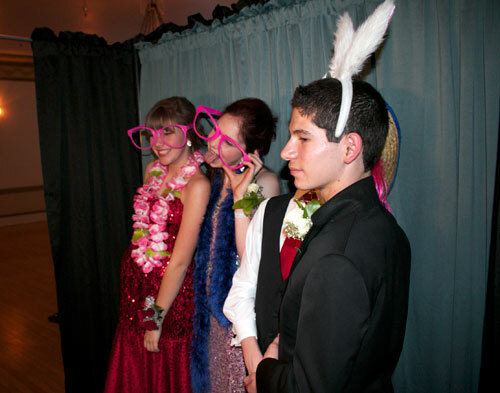 NOTS is a formal event where high school students gather to watch class made movies. The movies are all made by students by acting, filming, script writing, and planning. Student leadership’s goal is to get the word out sooner to give the classes more time to work, in result of a better quality film. The event will be held on Mar. 28, and the venue has changed from The Grand 1401 downtown to Wolf Lakes. As parents enjoy knowing what their child is involved in at school, the morning of the event parents will be able to view all class movies (more details to come). Leadership students will start planning costs for tickets, decorations, set up and dinner choice within the upcoming weeks. As leadership continues to create events to get more students involved with the school, shortly after NOTS the class will open up to planning Sadie’s in April. Follow The Feather via Twitter @thefeather, Instagram @thefeatheronline and Facebook @thefeatheronline.This writer can be reached via Twitter: @vbelmont, Email: [email protected]. For more news, read the Jan. 6 article, BRIEF: National Bubble Day, Jan. 8. 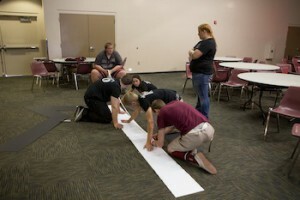 For more from student leadership, read Student leadership: Overview of Dec. 8-12. As December continues, there will be several acts of giving: leadership will be giving away a Starbucks card to the winner of the “ugliest” Christmas sweater. This is the last week before Christmas break. Dec. 9, is the last day for the Yes We CAN food drive. Leadership class will be taking all the high school and junior high cans to Pinedale Christian Church. As December continues, there will be several acts of giving: leadership will be giving away a Starbucks card to the winner of the “ugliest” Christmas sweater. All of high school is invited to meet at Starbucks in Fig Garden Village to announce the sweater winner and walk down Christmas Tree Lane,, Dec. 10. An annual tradition for Christmas is watching a Christmas movie before break. This year, the movie will be The Grinch and students are also encouraged to wear their favorite Christmas pajamas, Dec. 11. The movie will start at the beginning of lunch. Student leadership will be giving out tri-tip sandwiches, chips, and a drink. In order to get a free lunch at the movie, bring a stuffed animal for the Valley Children’s Hospital. Lunch will be $6 unless students bring a stuffed animal. The last week of school before Christmas break will end on Dec. 12, which is a half day. Next week’s schedule will be a bit different, on Mon. Dec. 8, there will be Fri. schedule. Tues.-Thurs. will be normal block schedule. As school starts up again, usually, there is not a lot to look forward to. The start of the year should never be boring! Leadership will be welcoming the whole school back on Mon. Jan. 5, 2015, and sharing information about Night of the Stars (NOTS) along with an overview of last year. NOTS is a formal event where the high school will gather and watch class made movies. This year, NOTS will be announced earlier than last year to get a head start on the movie making in hopes of better quality films. The venue has changed to Wolf Lakes. Be prepared to celebrate National Bubble Day, Jan. 8. In order to celebrate this festive event, the leadership class will be giving out bubbles at lunch. Be sure to hang out and be a part of it. Due to Christmas break, there will be no leadership article from Dec. 12-Jan. 5, 2015. The leadership students, as well as The Feather staff, would like to wish parents, students, and staff a Merry Christmas and a Happy New Year. Along with the holiday activities, the campus will have a red and green dress up day to celebrate the Christmas season, Dec. 4. Thanksgiving is over and Christmas time is approaching and leadership is creating new ways to get the student body involved with the community and the school. A part of being involved in the community is the Yes we CAN food drive. Students, families, and staff can bring cans to the high school office to give to the less fortunate; the drive ends on Dec. 9. The class is also inviting the whole high school to take a walk down Christmas Tree Lane, Dec. 10. During school, wear your ugly Christmas sweater to school and to the event. Please meet at 7 p.m.; the winner of the ugly sweater contest will be announced at the Starbucks in Fig Garden Village. The winner will receive a free Starbucks coffee. FC has many traditions throughout the Christmas season and one of the traditions is to watch a Christmas movie before the break. This year the students will watch The Grinch and eat tri-tip sandwiches. With the lunch, chips, a drink and a cookie will also be served. Lunch costs $6 unless you bring one stuffed animal to donate to Valley Children’s Hospital. Then the lunch is free. After the break, the leadership class will be getting a head start on Night of the Stars (NOTS), FC’s annual formal event which will be held at Wolf Lakes. Until then, school will be let out for break on Dec. 12, a half day, and will not be back in session until Jan. 5. This writer can be reached via Twitter: @fcsleadership_, Email: [email protected]. As we come ever close to Christmas time, concerts and events are becoming ever more prevalent. Fresno in particular holds several events which are a must attend opportunity to the citizens of this community. The main event following Thanksgiving is called the Messiah Sing-Along. It was started by Sam Barkman 38 years ago who directed it for 20 years, where upon his retirement the new worship leader of The First Presbyterian Church, Dr. Julie Carter took his place. It is currently in its 38th annual event and is looked forward to by hundreds, the average attendance is between 600-700. Director Julie Carter, has been directing this event for the past 18 years and every year she looks forward to directing and putting the event together. The event is free yet the event planners request for people to bring canned goods for the needy. Gottschalks Music Store in Clovis sells Messiah scores at the door for $10 and following the sing-along is an event called soup-along. It is put on by the church worship ministry team and a small donation is collected at the door. The event begins at 3 p.m., yet for good seating, it is advised to arrive an hour early. Along with the Messiah, Fresno is holding a multitude of events, each with a similar rich history. The Feather hopes that the students and readers will attend the Messiah or one of the following Christmas concerts. Dec. 5: Women?s and Men?s Choir from Fresno Pacific University present their concert at 7:30 p.m. at Butler Mennonite Church. Call the FPU Music dept. for more info. Dec. 6: Fresno Philharmonic Christmas Concert. Dec. 6: San Joaquin Chorale and Fresno Pacific Concert Choir present a Christmas concert at the Shagoian Hall, 7:30pm. Dec. 8: Fresno Christian JH/HS program, 8 p.m.
Dec. 14: Bach Children?s Choirs Christmas Concert at First Presbyterian Church, performances at 4 and 6 p.m.
Dec. 13: Earl Meyer?s Christmas concert. Dec. 24: First Presbyterian Church Christmas Eve services: 4 p.m. Children?s service, 5:30 p.m. and 7 p.m. choir, orchestra, message. This writer can be reached via Twitter: @J0sh_Carter. For more news, read the Nov. 24 article, Fall sports athletes awarded at sports banquet. Senior Christopher Grossman share Winter school spirit ideas to get involved during the winter season. So, we have made it through the first few months of school; there’s only a couple weeks left. Now what? Well, we’ve already passed Homecoming, fall sports are over, and holidays advocating “family time” are upon us. So how are we to stay involved in school? Well, Student Leadership has your back. There are a few different ways to get involved before we all buy new calendars. New winter school spirit opportunities to get involved are lining up. The first is the annual Fall Festivus, to be held Nov. 25. Tickets are only $15, and can be bought in the High School office. Just as last year, dinner will be served, and we’ll be watching a movie outside. That being said, make sure to bring your own blanket! There will be fire pits, complete with “s’more stations” to accommodate all of your marshmallow, chocolate and graham cracker needs. This is sure to be a chill, relaxing night with your friends and a great way to meet and socialize with other students. It will be from 6:30 to 10:30 p.m., and if you have any other questions, be sure to ask myself, or any other member of the Student Leadership team. An ongoing event that will be ending December 9 is the Canned Food Drive that we participate in every year. Students are encouraged to bring canned food for families in need in the Pinedale area. Each class will have their donations recorded, and whichever class brings the most will be rewarded before the semester comes to a close. A new event that is starting up this year is the Christmas Tree Lane Walk, where all students are invited to meet at Fig Garden to walk Christmas Tree Lane, Dec. 10. Student Leadership would love to see you participate in a Ugly Christmas Sweater competition, and the student with the ugliest sweater will win a free Starbucks drink. After meeting to hold the contest and take a few pictures as a group, students are free to break off and walk the lane with friends. While this is all going on, be sure to be preparing for your NOTS movie, as filming and editing always take longer than expected. Classes should be deciding on what movies they will be recording during advisory periods, and script writing should be wrapped up by Christmas break. All this aside, involvement starts with you. Student leadership would love to see every student be a part of some sort of school event, and if you have any questions or comments, my door is always open. This writer can be reached via Twitter: @Chris_Grossman. For more opinions, read the Nov. 20 article, College Corner: Financial Aid. For more ASB columns, read the Oct. 27 article, COLUMN: Be a spirited participant at homecoming. Starting Nov. 17-Dec. 12, leadership is having a friendly competition to raise awareness and gain canned food for the Yes We Can food drive. Last week was National Kindness Week and the class created signs to support the week and to get the word out. Kindness week is to show your kindness more than just one time, but more than just a week. Try giving someone a pencil when they cannot find one or say ‘Hello’ to someone new. Leadership class is still continuing of their unit of public speaking. Students will learn the proper use of a microphone and how to introduce a speaker. They will also be learning how to entertain the crowd. The class is also planning Fall Festivus and will start bringing supplies to the destination. The event will be held at the Beal residence, Nov. 25. 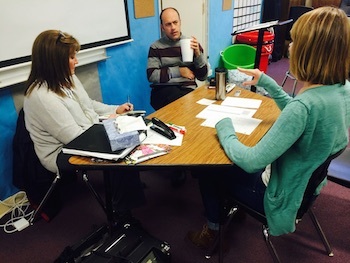 Christmas is not far off and leadership is looking for new ways to get the school involved. One idea the class came up with was to walk Christmas Tree Lane. Come to school wearing your best Ugly Christmas sweater on go walk with student leadership on Wed., Dec. 10. That night meet at the location chosen (TBA) to find out who won the sweater contest; the winner will be rewarded at the destination. The annual Christmas movie is coming up, Dec. 11. The high school will be watching The Grinch while eating lunch. In order to receive lunch, students must bring an appropriate donation for the charity. The charity we are supporting is to be announced. Each year many families in the Fresno area go without food for the holidays and often throughout their everyday lives. The high school is taking part in fixing this problem. Starting Nov. 17-Dec. 12, leadership is having a friendly competition to raise awareness and gain canned food for the Yes We Can food drive. So it’s time to get involved and show your thanks for your blessings. Please get involved and remember to use #FCGiveThanks. Due to Thanksgiving break next week, Nov. 24-28, there will be no Leadership update. For the two days the school is in, there will be planning in the class room for the Fall Festivus, on Tues. Nov, 25. Be sure you buy your tickets before prices go up! Follow The Feather via Twitter @thefeather, Instagram @thefeatheronline and Facebook @thefeatheronline.This writer can be reached via Twitter: @sbbelmont98, Email: [email protected]. For more news, read the Nov. 13 article, BRIEF: Educational Enrichment Program offers opportunities to students . World Kindness Week is a week that encourages people to do at least one random act of kindness during the week. Campus students also celebrate National Kindness Day. For more media, watch the Nov. 12 video, FC Underground 2014-15, No. 18 (VIDEO). FC Underground is a weekly campus news Vlog post hosted by senior Callista Fries to keep Fresno Christian High students aware of upcoming events. 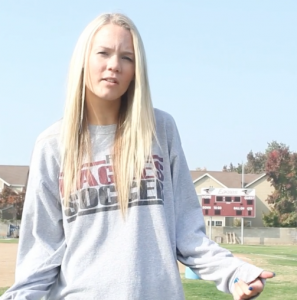 This is the 18th episode of “FC Underground, 2014-15,” covering the week of Nov. 10-14, 2014. Senior Callista Fries is a third year host and broadcasts the video news alone. 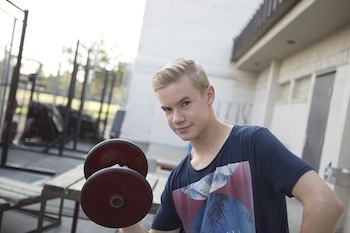 FC Underground is a weekly segment hosted by Fries, filmed and produced by junior videographer Tim Nyberg. The fundraiser at Chipotle is Nov. 10 from 5-9 p.m.
Is creative writing something you want to develop? Join other JH/HS Creative Writers in the Creative Writing Club that meets Mondays in room 603 at lunch. Are you having trouble with writing that essay paper or any other paper for that matter. We have help for you, on Tues. and Thurs. in room 624 from 3-4:30. A writing lab to help you get those writing assignments done. Take advantage of this opportunity, it is here until December 11. Operation Christmas Child boxes are due Wed. morning at 7:30 a.m. There is a playoff Volleyball game, at home starting at 6:30 p.m. Students will cost $4 and Non-Students are $6. The Championship Football game is at Kings Christian this Fri. Nov. 14, starting at 7 p.m. Together we Can is also undergo, bring canned food to the HS office. Please use the hashtag #FCGiveThanks when reposting or celebrating how others are thankful or giving back to their community. Be sure to check out the Feather Photo section as new photos will be posted throughout the day to promote homecoming activities and those who are engaged with school spirit. Additionally, be sure to read The Feather’s Daily News section to read the announcements for the week. They are added to each day, promoting school, community, and other news. “FC Underground” first ran in the fall of 1997 and continued until the spring of 2001. In the fall of 2009, editor-in-chief Suzanna Quiring , ’10, resumed the series, which was then produced by Paige Powell, ’10. After Quiring and Powell graduated, Brooke Stobbe and David Casuga took up the job until the end the 2011-’12 school year. Now, Fries and usually junior Tim Nyberg have continued the segments. Picking up on the next event, Fall Festivus, the class has begun planning out where it will be held, what movie will be shown that night, and how much food will be available. As homecoming week comes to an end, leadership continues to be involved with new and upcoming events. Homecoming week was a success, even though the rain had stopped a few of the class’ plans. Student leadership would like to give a thanks to all the people who helped make homecoming week great. The Veterans Day Parade, Nov. 11, in front of the Fresno City Hall and will be taking place at 11:11 a.m. The parade focuses on all the veterans who fought for America’s freedom. This is the largest parade on the West Coast, so come and support the school and the troops! Picking up on the next event, Fall Festivus, the class has begun planning out where it will be held, what movie will be shown that night, and how much food will be available. Fall Festivities are events before Thanksgiving to hangout with friends and roast marshmallows, dance, or just watch a movie. The annual Yes We Can Canned Food Drive is arriving soon, Nov. 17, the drive is for Pinedale Elementary. To get the school involved in the project, each class will compete against each other. At the end of the food drive the wining class will be given a prize, which is still to be decided. Last year was the biggest amount of canned food the school has collected. This year the school would like to participate in a friendly competition and beat the record achieved last year! Along the lines of giving back, the school is getting involved in Operation Christmas Child. Gather any items that could fit into a shoe box for these Christmas gifts. Please ask for a brochure which outlines the recommended stuff to put in the box, including $7 to ship it. All boxes are due on Monday, Nov. 10. Hashtag any ways to give back with #FCGiveThanks. 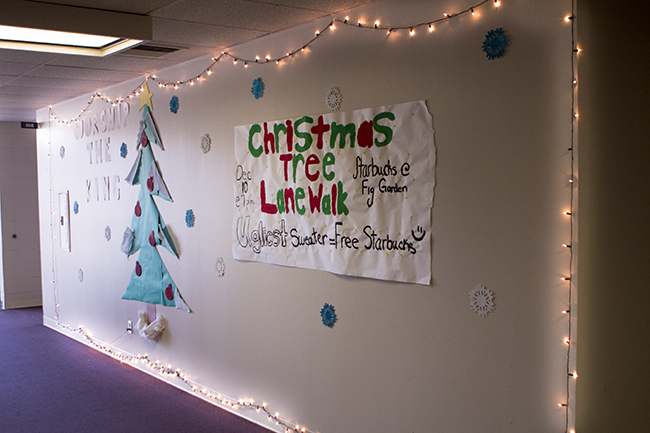 Leadership is also planning an all-school walk down Christmas Tree Lane, Dec. 10. The same day, during school, there will be an ugly sweater contest as well, so wear your best ugly sweater to school. Three winners will be announced and given a prize when everyone arrives at the event. Around Christmas time, leadership will be holding a movie viewing during school. The movie is yet to be decided. Each high school student will need to bring an item to support the organization chosen, which will serve as a ticket for a free lunch. If students do not bring the required supplies to get free lunch, it will be $5. Night of the Stars (NOTS) is a big deal during the second half of the school year. The night is filled with fancy dresses, great remade movies, and great tasting dinner. Last year leadership sponsored the 22nd annual Night of the Stars (NOTS) at The Grand 1401 on the 10th floor in February. Each class remakes a movie and that night the movies are shown and students receive awards for best actor, actress, film; etc. Leadership is planning out the venue, the costs, the date and theme. 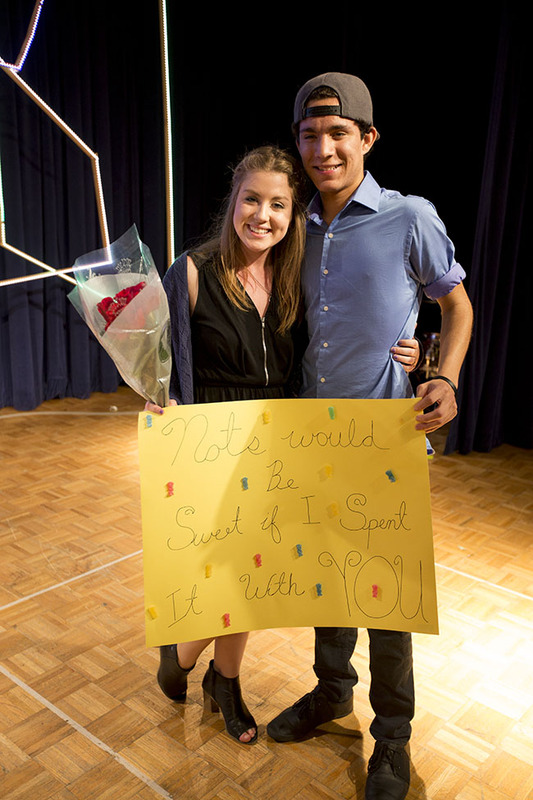 NOTS is an exciting formal event where guys ask girls to be their dates. Boys, think of creative ways to ask your date! Stay tuned for more information and date. As the football season comes to an end, there will be one last Fifth Quarter. Bring $5 and come to Me n Ed’s at Cedar and Herndon this Friday, Nov. 7, for a fun time and pizza! Leadership will continue to plan, support, and promote different events during the school year. For more on Student Leadership, take a look at Student Leadership: Homecoming is upon us. 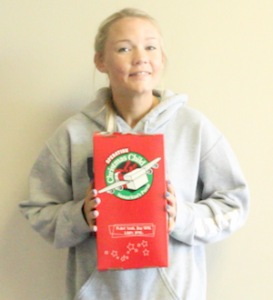 For more news, read the Nov. 3 article, BRIEF: Operation Christmas Child boxes due, Nov. 12. This is the 17th episode of “FC Underground, 2014-15,” covering the week of Nov. 3-7, 2014. Senior Callista Fries is a third year host and broadcasts the video news alone. FC Underground is a weekly segment hosted by Fries, filmed and produced by junior videographer Tim Nyberg. Tuesday there is a Volleyball game in Parlier, JV plays 5 and Varsity plays at 6 p.m.
Thursday, there is another Volleyball game at Riverdale JV plays at 5 and Varsity plays at 6. Friday is a home Football game, it is also Senior Night, kickoff is at 7:00 p.m. Starting this week, The Feather Online and student leadership are helping refocus student attention to outward examples of serving and giving. Over the next couple of weeks, there are opportunities to give on campus towards helping others. Operation Christmas Child is starting up again, pick up at box in room 608, and they are due, Nov. 12. Student leadership organized the rally to celebrate the campus’ 30th homecoming week with a rally and festivities and pump the campus up, Oct. 31. At the end of the day, campus students and teachers alike headed to the FC gym, to wrap up the week with a rally. With the the 30th annual homecoming game against Bakersfield’s Northwest Christian High School, student leadership organized the rally to celebrate the week’s festivities and pump the campus up, Oct. 31. From ‘Merica Monday to Fly together Friday, throughout the entire week of homecoming, students participated in dress up days, to show their spirit, including FC’s 30th homecoming rally. Being Fly together Friday students and faculty dressed in spirit attire and FC colors during the rally. Student leadership worked to improve and revamp this year’s homecoming game. Using this year’s rally, ASB encourages students to get pumped up for the game tonight with games and cheers. In the end, the seniors won this year’s homecoming rally. Junior Juliana Rosik and member of student leadership was impressed by the motivation and participation in this year’s campus. Varsity cheer started off by teaching individual cheers to students in each class, sectioned off on the bleachers. Cheers were meant pump students up and promote the game. Sophomore Michael Gibson enjoyed getting to know the cheers during the rally. Junior Gillian Rea appreciated how the rally went and hopes to see more like today’s in the future. Classes will also show off their float correlating with the theme of homecoming, using Hollywood movie genres. The seniors will display a western-theme, while the juniors will present a Roaring 20s themed float. The sophomores will provide a 1940s mafia scene theme and the freshmen combined Star Wars and Star Trek idea creating a sci-fi theme for the night. This is the 16th episode of “FC Underground, 2014-15,” covering the last day of homecoming week, Oct. 31, 2014. This is the 16th episode of “FC Underground, 2014-15,” covering the last day of homecoming week, Oct. 31, 2014. Senior Callista Fries is a third year host and broadcasts the video news alone. FC Underground is a weekly segment hosted by Fries, filmed and produced by junior videographer Tim Nyberg. The dress up day for Fri. Oct. 31 is Fly Together Friday. Lunch on Friday is Pacifica Pizza for $6. There is a rally on Fri. Oct. 31, where the Color Guard and the Cheer Team will be performing. On Fri. Oct. 31 is Homecoming the game starts at 7 p.m. The homecoming festivities will begin at 6:30 p.m.
With homecoming only two more days away, students celebrated the annual Queen Pageant, Oct. 29, to get to know the homecoming court queen nominees. With homecoming only two more days away, students celebrated the annual Queen Pageant, Oct. 29, to get to know the homecoming court queen nominees. The event featured a unique fashion show, a video all about the queen nominees and lip sync concert. Many students get excited for the occasion and the mounting hype around homecoming, while others remained indifferent. Wyatt Koop, ’18, shared his thoughts and expectations for the pageant. Others students remained positive however. Alena Orth, ’17, shared her enthusiasm and wishes for the event. The pageant opened with the queen candidates all lined up on stage. Elise Winegarden, Mikayla Miller, Gaby Siqueiros, Callista Fries and Ivette Ibarra each walked down the catwalk, introduced by the king candidates. Each king picked out a crazy outfit for one of the queens. The clothes varied from basketball shorts and soccer jerseys to banana costumes and plastic leis. Afterward, a video featuring the queens began, each queen explaining why they thought students should vote for them. The video also had the nominees share what the best attribute about the others was as well as answering questions such as who would make the best date chaperone or survive in a horror movie. The 30th annual homecoming will be on the north field at 7 p.m., Oct. 31. Homecoming candidates will be introduced during the pre-game at 6:30 p.m., and the homecoming court announced during half-time. 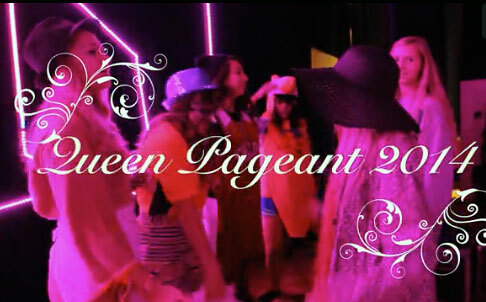 For more videos, check out Get to know: The Queen Pageant of 2014 (VIDEO) and visit The Feather Online on Vimeo.